She's one scrappy granny who won't have to call the rattlesnake guy. She’s one scrappy granny who won’t have to call the rattlesnake guy. No catch-and-release with her around. Her viral story had people divided — Is she ‘fearless’ or ‘reckless’? 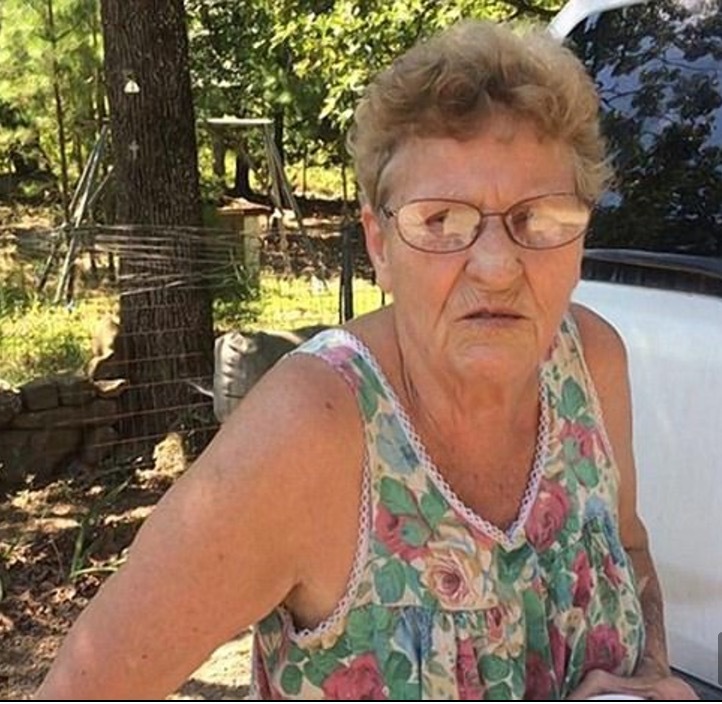 Some dumbass actually weighed in that it was ‘illegal’ for this granny to kill snakes. Considering how many she’s killed, it’s not like they’re even close to being endangered. Well, maybe the ones that blunder onto HER property are, but the species itself is doing just fine. An Oklahoma woman has become a viral sensation after photos were taken of the almost dozen snakes she killed. 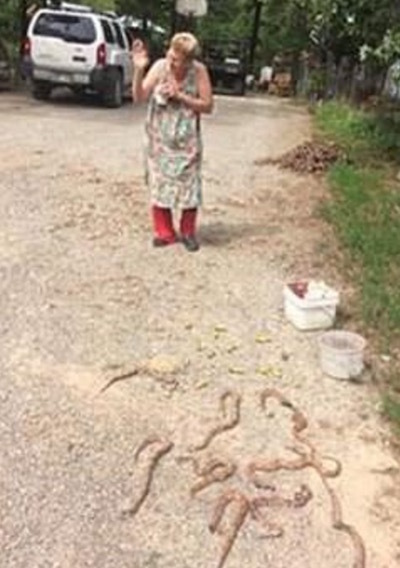 In a Facebook post on Thursday, Susan Thompson showed her neighbor named only as Mrs Newby celebrating a successful kill of 11 snakes in front of her home in Lequire, Oklahoma. The caption says, ‘Since Sunday, she’s reportedly killed 17 snakes. How is she killing them? Does she have some sort of an elaborate trap? She must have been raised by the principles in this book. If you’ve got a daughter, and want her to have the kind of boldness that this granny does… read this.